Journal of Dermatopathology aims at publishing quality research content that is useful for the clinicians/researchers/students practicing dermatology worldwide. Dermatopathology is both dermatology and pathology combined together that mainly focuses on studying the cutaneous diseases at molecular/microscopic level. 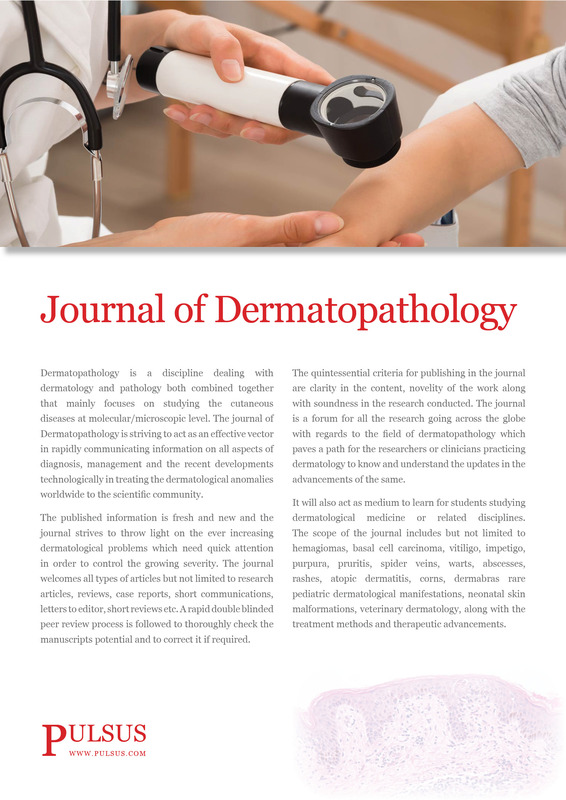 The journal of Dermatopathology is striving to act as an effective vector in rapidly communicating information on all aspects of diagnosis, management and the recent developments technologically in treating/dignosing the dermatological anomalies worldwide to the scientific community. The published information is fresh and new and the journal strives to throw light on the ever increasing dermatological problems which need quick attention in order to control the growing severity. The journal welcomes all types of articles inluding but not limited to research articles, reviews, case reports, short communications, letters to editor, short reviews etc. A rapid, double blinded peer review process is followed to thoroughly check the manuscripts potential and to correct it if required. The quintessential criteria for publishing in the journal are clarity in the content, novelity of the work along with soundness in the research conducted. The journal is a forum for all the research going across the globe with regards to the field of dermatopathology which paves a path for the researchers or clinicians practicing dermatology to know and understand the updates in the advancements of the same.